It better do, I'm gonna be watching a lot of Starcraft II. I got an email from dreamhack (as im sure u guys did too) explaining about the event and how to get to it. However, no DreamHack train has been mentioned, so im quite sure we can safley say this is not happening this year. They did say about SweBus tho, but i dont want to sit on a coach for 5-6 hours if i dont have too lol. Def up for taking the train over the bus and its better if one of us books the lot. shall we try and get together this weekend on Mumble to get this sorted ? I won't be available at the weekend but definitely try and book a train, I'd much prefer that over a coach even if it means getting a taxi from the station to the hall at the end (it's only about 1 mile anyway). 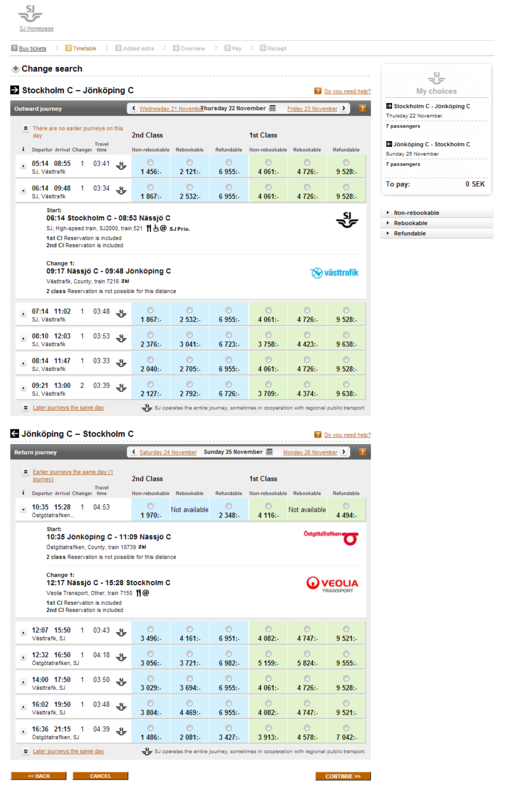 05:14am outward (doors open at 8am so that's perfect) and 10:35am return comes to 3006 SEK (£282) = £40 per person. At this price we should be buying these tickets ASAP! I can buy them tonight/tomorrow if people agree on the times. Iam easy on the time but maybe the later one so we are not as sleepy for when we get there ? I'm easy on the time as well but i went for the money saver. It's not a bad saving if we go an hour earlier. Just have a power nap on the train, sorted. Either way, i've added a poll. Don't care, someone buy some tickets and I'll send you monnehs. Buy em, PM me with bank information, job done. Dont wait on androm to reply, just get them. Ok, I'll buy them tonight. Will PM with details etc. AlienX wrote: Buy em, PM me with bank information, job done. Gotta love PA's , what he says! Right so I noticed the return journey is way too long so I opted for the earlier one which is like £10 more but 2hrs quicker. One snag: I need to put all of your passport names in before I can buy em. Can you just confirm them to me? Then I can buy em!